Fulfilament is a stop motion short film, the NFTS graduation film by director Rhiannon Evans. I helped out in the art department for 3.5 weeks, with set building and dressing of various sets for the film. 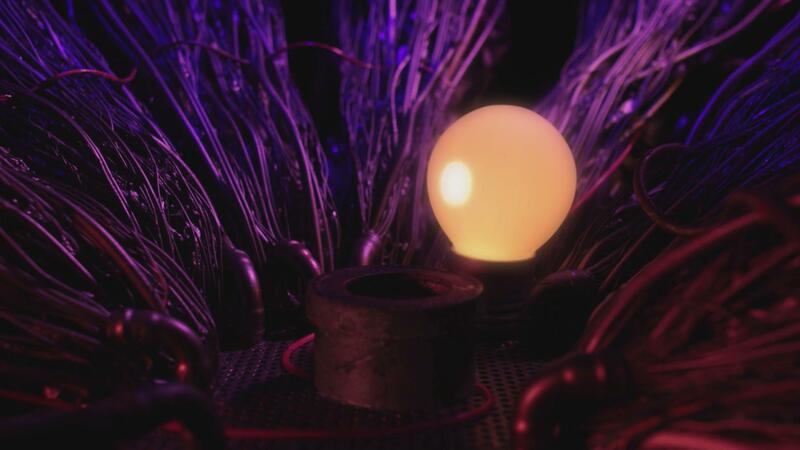 The images above are stills from the finished film ‘Fulfilament’ by Rhiannon Evans. These stills are from different sets I had a part in building. I came to help out in the art department while the film was already in production for some time, so I contributed to different set builds at various stages. 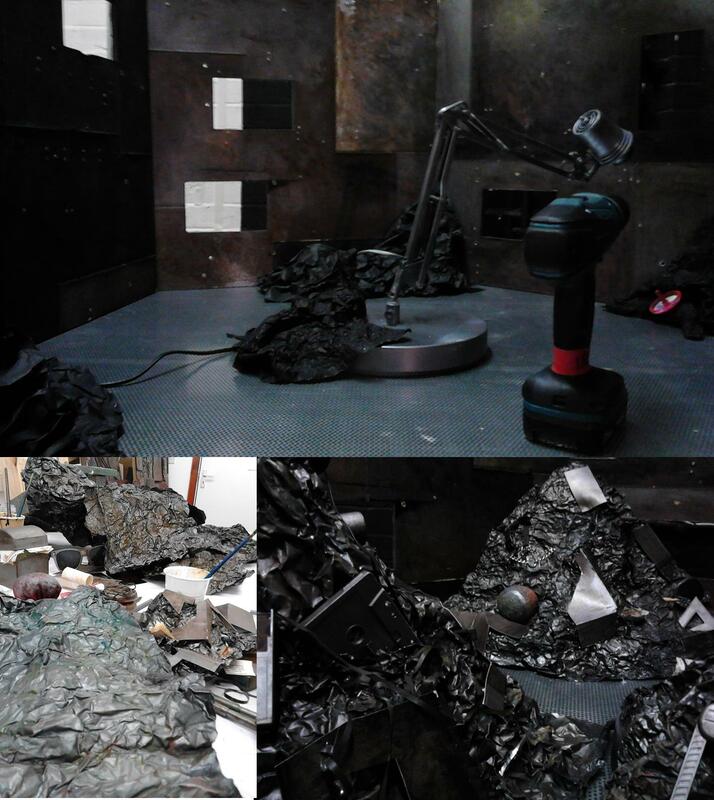 The first image is from the ‘memory room’ set, which had its structure already built, but for which I did all set dressing of the ‘memory heaps’. 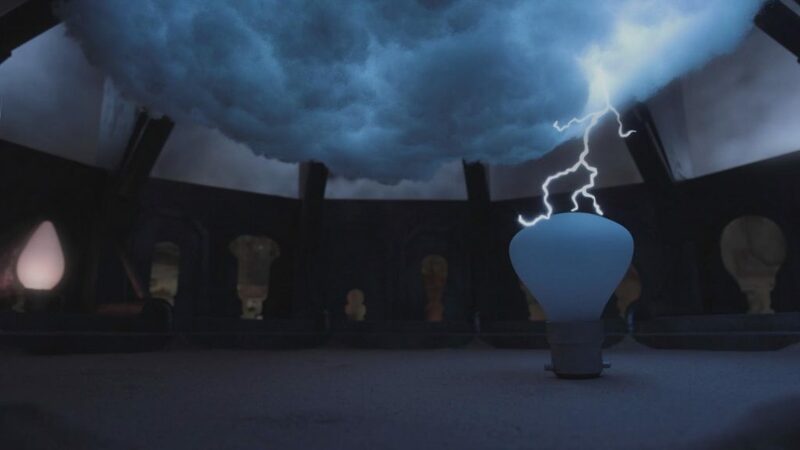 The second picture of the ‘brain storm set’ I worked on assembling all the parts that were mostly built already, interpreting and working from the instructions of the art director. I also helped finishing some of its components and made the ‘thunder cloud’. The third picture is a close up from the ‘maze game’ in the ‘game room’ set, which I built as well as a few of the other game panels, which will be pictured below. 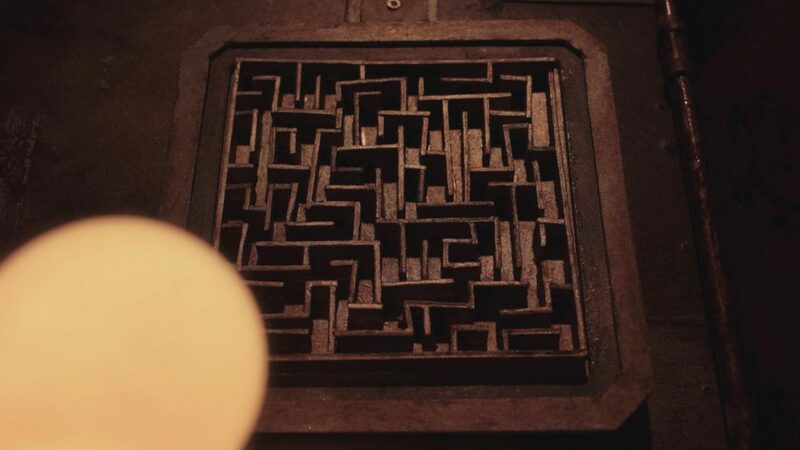 The fourth still is a close up from the ‘heart’ set, for the final scene in the film. This set was mostly built but needed final adjustments and I helped neatening up the wires and adding details such as the pipe pieces for this close up. Above is a time lapse of me assembling the brainstorm set. Click on the images below for more details on my contributions to the different set pieces. Some images of building the game room panels, and the finished six panels I made. 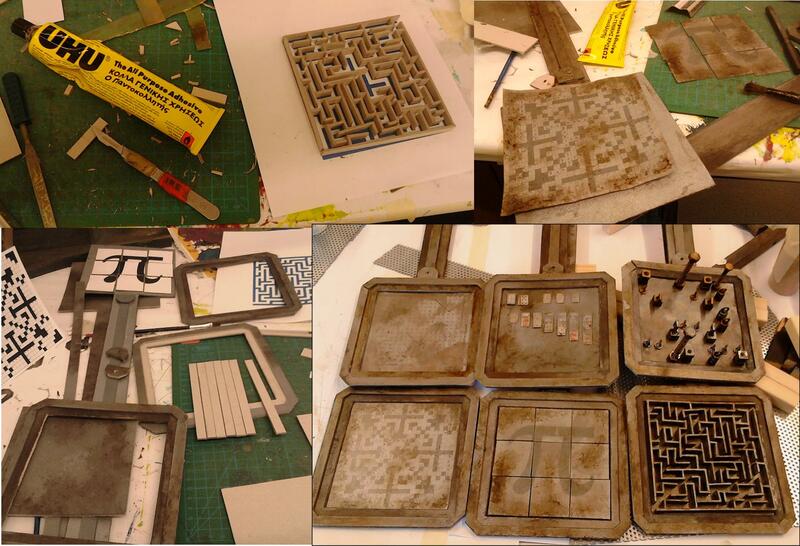 These were mainly made out of cardboard and paper, painted and given a weathered dirty finish. Me working on the heart set. The main structure was built when I joined to help. 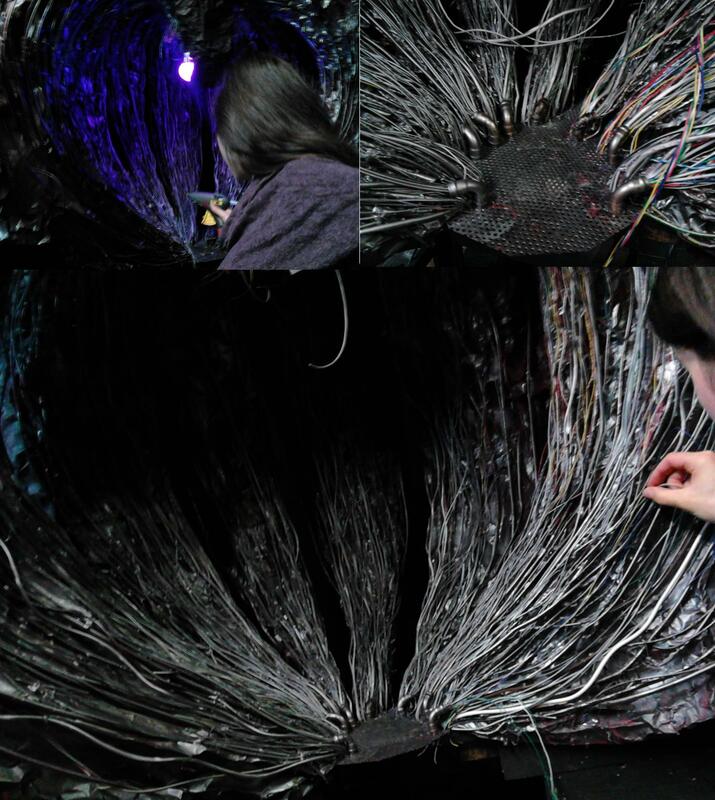 I was helping with final details and neatening up the wire ends for the close ups. Progress of the memory room set. All the heaps were built out of blackwrap and heaps and objects were painted with various brown washes. 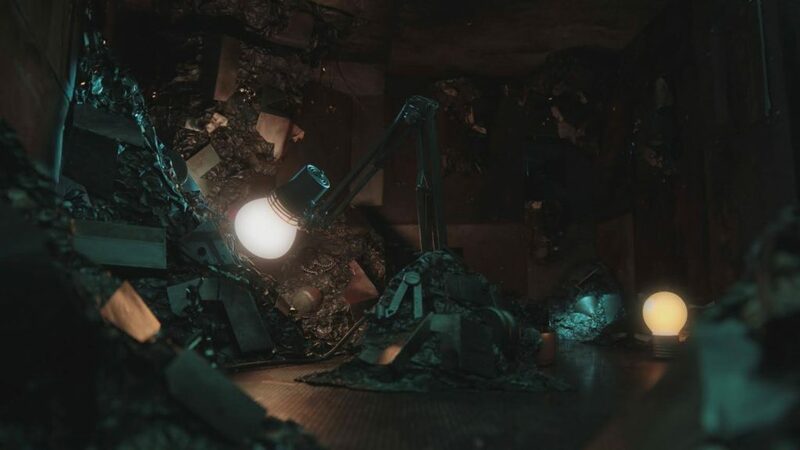 The heaps of stuff represent heaps of 'memories'. This was a typical set that needed to be assembled and dressed under the right lighting, to highlight certain objects, built the heaps as to how they appear right on camera. etc. Some progress images of assembling the brain storm set. I did not build all the components. 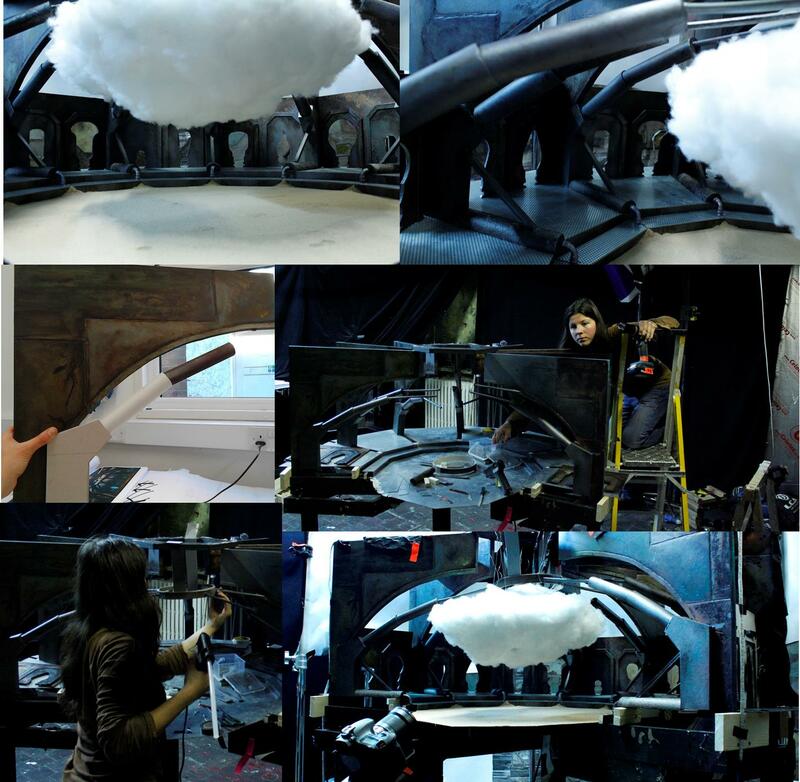 I did make the 'thunder cloud' which is hollow inside to fit in the lights during the shoot.